Today I take a look into one of my fave bloggers handbags… And guess what? She’s not a fashion or beauty blogger. I love Cindy’s blog because she’s real and its nice being able to read ‘honest realness’ opposed to sponsored beauty/fashion posts. I’ve stopped reading many blogs because it started to look advertisements and I’ve replaced it with mommy blogs, Cindy’s blog is one of them. I love love love taking a look into her life and reading about her family and even learning things even though I’m not a mom or even close it. Enough with my rambling, take a look into Cindy’s handbag. This bag was a birthday present from Seth about 3 or 4 years ago. It used to look a lot less worn even though the strap broke just a week after buying it (hence the knot and random sticky outy bit on the side). 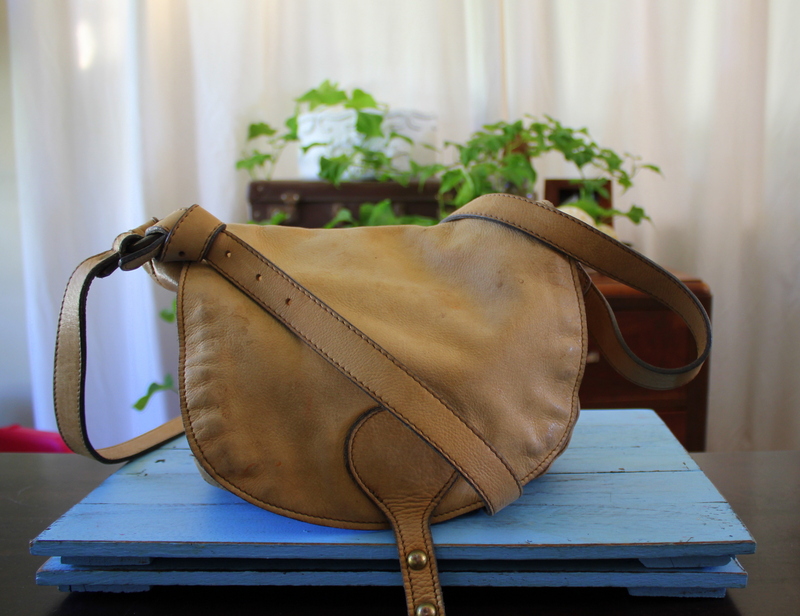 It’s genuine leather though so it might be around for a while still. 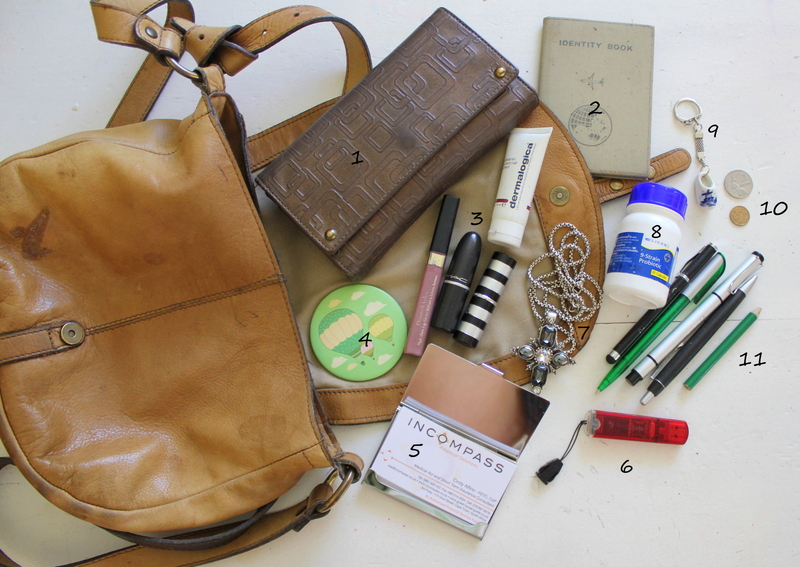 I broke up what was in my bag into two categories – What should be in my bag and what shouldn’t. Disclaimer – I am a Mom of 3. Nothing is my own anymore. 1. My wallet that I have had since matric, It could possibly be time to update it. Actually it’s definitely time. 2. My ID book, you never know when you’re going to need it. 3. A few beauty products – Dermalogica hand/nail cream and lipstick for when I need a bit of a lift. 4. Hot air balloon mirror that I received as a secret santa present last year, it’s so cute I love it. 7. A necklace that Seth gave me that was a total surprise – one of my favourite pieces of jewellery of all time. 8. Probiotics because I was recently on antibiotics and (when I remember to take them) I’m responsible like that. 11. A copious amount of pens although I can never find one when I’m actually looking. Now, this is a whole lot of stuff that shouldn’t be in my bag but has been for at least the last 6-10 months. 1. Riya’s sunglasses that she insists on wearing in to school in the morning but then taking off for me to take home when I drop her off. 3. Hair ties for the girls. I swear I used to have a very cute little purse for it but the girls must have gotten hold of it. 4. A ping pong ball? We don’t even have the game. In fact no one I know has it either. How on Earth we have the ball I will never know. 5. Sweets from restaurants. Seth makes me take them for him to eat later, but he never does. Clearly. 6. A bunch of papers that no longer hold meaning or value. I know right? I’m possibly the worst person to do this kind of feature! 8. A pair of rolled up socks. This one baffles me. I honestly don’t even know if they’re even clean. 9. I took this thing off my keys like a year ago… But I didn’t want to lose it, so obviously it’s live here since. 10. I literally had a couple of rocks, acorns and random bits of nature combined with a rogue doll shoe hiding out in my bag. I never even knew. 11. More hair clips for the girls, because they NEVER have enough! I never use the word “lol” in a post but I had a major LOL moment when I read Cindy’s post. Its definitely one of my absolute fave Bloggers And Bags posts that I’ve done over the post 2 years. 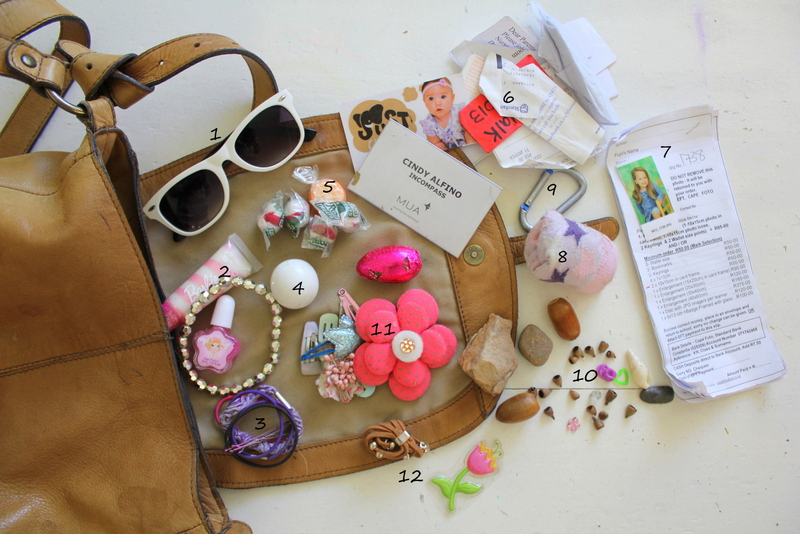 Thank You Cindy for showing us what you (and your babies) carry around in your handbag. Definitely give ‘3Kids 2Dogs 1Old House’ a read. You won’t regret it. 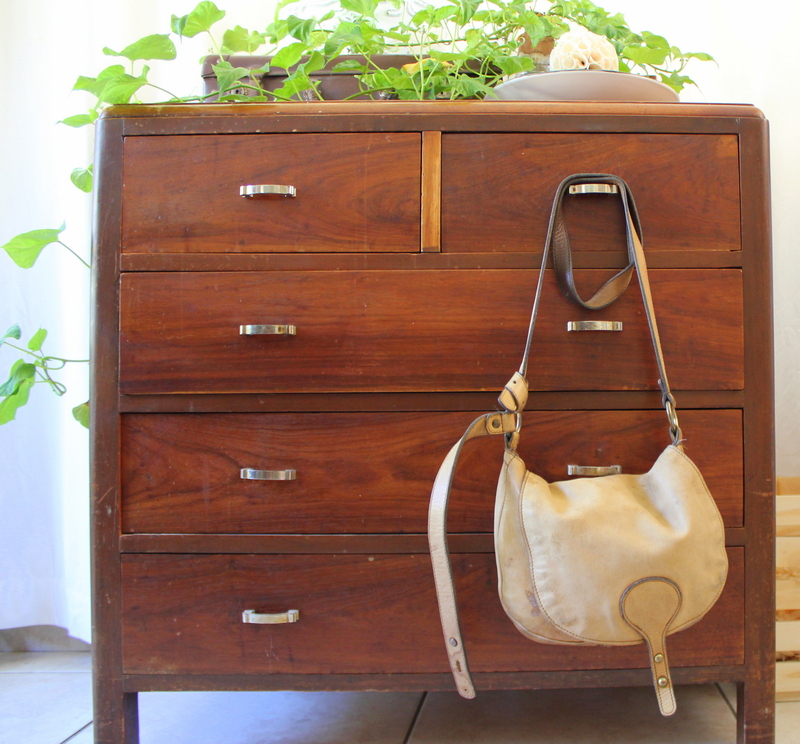 Tags: 3 Kids 2 Dogs 1 Old House, Blogger Love, Bloggers and Bags, Cape Town, Cindy Alfino, Dermalogica, Facebook, Handbag Essential, Handbag Must Have, HandBags, Lifestyle Blog, Mommy Blog, Twitter. Bookmark the permalink.